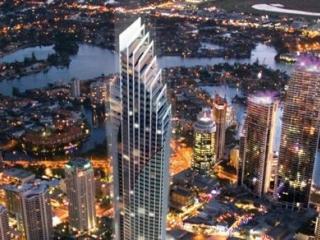 Peppers Soul Surfers Paradise is centrally located in the heart of Surfers Paradise on the Gold Coast. Experience a touch of luxury in these spacious beachfront apartments that offer the latest mod cons from free WiFi, Cable TV & Mii Spa bathroom amenities. Apartments feature floor to ceiling windows to take in those amazing ocean views as well as spacious balconies to enjoy the seaside ambience. 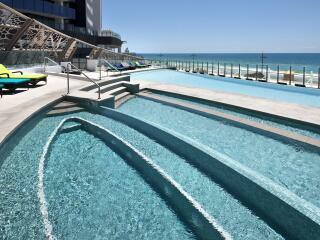 Relax by the hotel's outdoor pool overlooking beautiful Surfers Paradise beach or the indoor infinity pool. Host lunch at the hotels landscaped BBQ & garden area or go for a walk along the beach and enjoy the relaxing sea breezes. This famous coastal location has so much to offer located just 20 minutes from popular theme parks, 25 minutes from the Gold Coast Airport and just 2 minutes walk from an array of restaurants, cafes, shops & boutiques. World Class golf courses are also just on your doorstep at Hope Island, The Palms and The Glades. 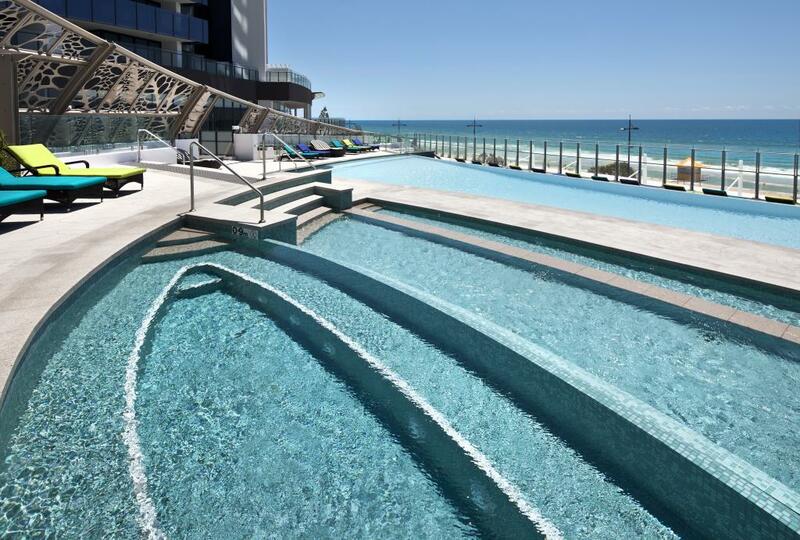 Enjoy world class facilities at a beachside location at Peppers Soul Surfers Paradise for your next luxury Gold Coast getaway. 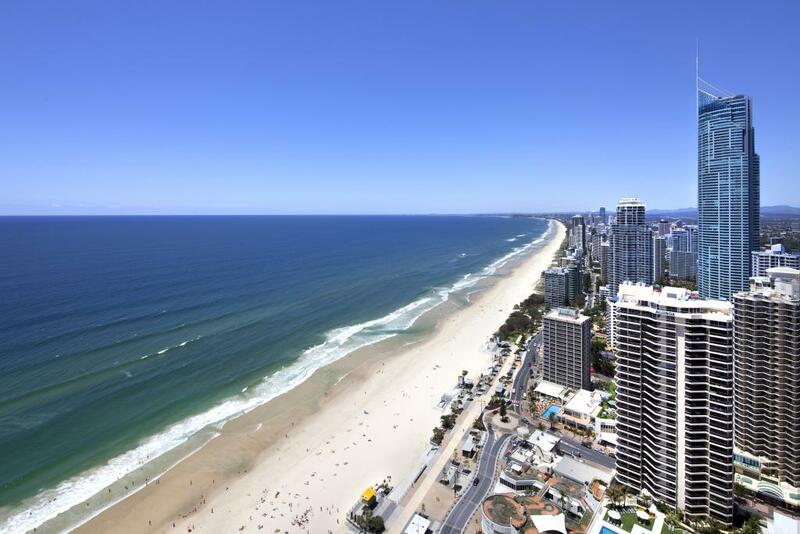 Peppers Soul Surfers Paradise features stylishly appointed 1, 2 & 3 bedroom apartments located from floors 4 - 39 of the properties 77 level tower, all with stunning uninterrupted ocean views. 1 Bedroom Ocean View Apartment: Bedding is 1 King Bed. Maximum room capacity is 2 Adults & Children. 2 Bedroom Ocean View Apartment: Bedding is 2 King Beds OR 1 King Bed + 2 Single Beds. Maximum room capacity is 4 Adults & Children. 2 Bedroom Sky View Apartment: Bedding is 2 x King Beds OR 1 King Bed + 2 Single Beds. Maximum room capacity is 5 Adults & Children. 3 Bedroom Ocean View Apartment: Bedding is 3 King Beds OR 2 King Beds + 2 Single Beds OR 1 King Bed + 4 Single Beds. Maximum room capacity is 7 Adults & Children. 3 Bedroom Sky View Apartment: Bedding is 3 King Beds OR 2 King Beds + 2 Single Beds OR 1 King Bed + 4 Single Beds. Maximum room capacity is 7 Adults & Children. 3 Bedroom Sub Penthouse: Bedding is 3 King Beds OR 2 King Beds + 2 Single Beds OR 1 King Bed + 4 Single Beds. Maximum room capacity is 7 Adults & Children. 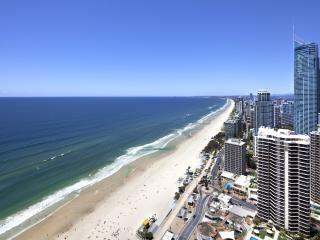 There are a number of restaurants, cafes & food chains to take advantage of in Surfers Paradise. Seaduction Restaurant & Bar: Located on level 2 'Seaduction' is stylishly appointed with leather & cowhide textures and offers a contemporary menu by executive chef, Steve Szabo. Each table offers uninterrupted ocean views making this restaurant a sort after dinning location. Serving breakfast 7 days a week, lunch Tuesday - Sunday and dinner Tuesday - Saturday. There are a number of World Class Golf Course nearby to take a swing at, these include Hope Island, The Palms and The Glades.